It’s been another great week! We started this week with a Zone Training Meeting. Normally, it’s super fun to see lots of other elders and catch up on stuff, but having been banished to the islands, we had to Skype in! It was actually really fun and I learned some important things that I can apply to my work this week. Our best investigator is doing well. She says she doesn’t feel ready yet, but her testimony is rock solid and we’re very confident that she will be baptized soon. We also are focusing in on less-active members right now which is coming along really well. We’ve got three or four that could be rescued while I’m here in Magong. Funny story. This week we tried to visit some less-actives that live on a different island, but we got completely lost on our way there. We ended up biking for 1.5 hours to one of the furthest islands we can get to by bridges. It was incredibly beautiful there so I wasn’t too mad. Visiting less-active’s is always entertaining. We visited one this week who lives in a house completely made from coral (pretty common in Magong). He lives with his mom, his dog, and well over 25 cats. There were cats everywhere! Elder Ahfua loves eating strange food. One of my pictures shows me eating the spiciest soup I’ve ever had. The ingredients included crab, egg, duck blood, and devil peppers (which are only in Asia). It was delicious but almost too spicy to eat. MaGong is a beautiful place with tons of miracles. On Taiwan’s mainland you can just contact up and down busy streets for hours and not be able to talk to everyone, but here is it so rural that you are usually the only one on the street. We tract a ton, but virtually every house on this island has been tracted by previous missionaries. I’ve learned here that hard work and obedience brings miracles. We’ve tracted for two hours straight and not been allowed into a single house and then, on our ride back to our apartment, someone stops us on the side of the road and asks us about the Church. I have faith that things will start rolling soon and I’ll be able to see even more success here. The work here in Magong can appear pretty bleak and rough at times, but I decided early on in my mission that my attitude was going to be one of a successful missionary who loves his mission and enjoys every second. I’ve come to learn how beneficial that has really been. As I show my faith in Jesus Christ and his Atonement and work hard, I don’t have any other worries. I know that as I do my best, Heavenly Father will do the rest. I know He’ll do the same for everyone! 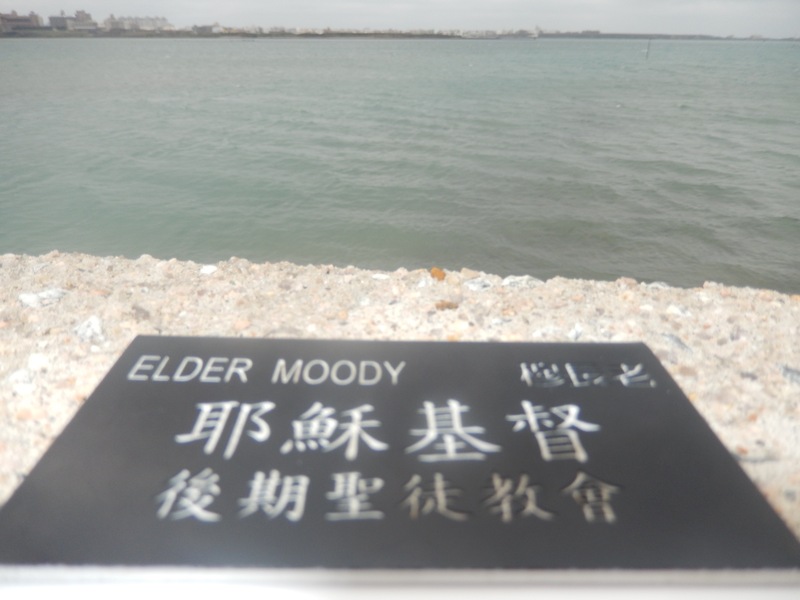 Sam Moody serving as a full-time missionary for The Church of Jesus Christ of Latter-day Saints. This entry was posted in Magong and tagged Magong. Bookmark the permalink.